Anne’s children were almost grown up, except for pretty, high-spirited Rilla. No one could resist her bright hazel eyes and dazzling smile. Rilla, almost fifteen, can’t think any further ahead than going to her very first dance at the Four Winds lighthouse and getting her first kiss from handsome Kenneth Ford. But undreamed-of challenges await the irrepressible Rilla when the world of Ingleside becomes endangered by a far-off war. Her brothers go off to fight, and Rilla brings home an orphaned newborn in a soup tureen. She is swept into a drama that tests her courage and leaves her changed forever. DESPITE THE FACT THAT IT RIPS MY HEART OUT EVERY. SINGLE. TIME. Just finished reading it for the third or fourth time and it still moved me to tears in multiple places because WALTER and Dog Monday and Shirley going away to war and-I just- It’s perfect and perfectly heartbreaking at the same time. I still find it hard to believe that the series started out so lighthearted and then it went from happy to serious to sad to absolutely soul-crushing. Because WALTER. (Yeah, I can’t get over him. Not even trying.) There are a few fun parts in RoI (mainly to do with Susan), but they’re often overshadowed by WWI and everyone dying or enlisting or any other number of sad, awful things. I think Rilla is awesome. She’s about my age (and will be for the next couple of years – or, rather, I’ll be her age) and sometimes I just wish I could be her and have brothers like Walter and Jem and Shirley (though I love the brothers I already have) and a sweetheart like Ken and a friend like Una. Her character development is great and the way she rises to so many occasions through the course of the book makes me admire her so much – but she isn’t perfect, either, and that makes her even better (which doesn’t really make sense, but it’s true). Rilla is my favorite book heroine, hands-down (I should have put her in my female characters tag post, but I forgot). And then there’s all the other characters: Susan (who always makes me laugh), Anne and Gilbert (they’re even better in RoI than some of the other books – brave and wonderful), Ken (*fangirls*), and Jem and Shirley (everyone talks about Walter – and I’m not saying that’s a bad thing – but on my last read through of RoI, I discovered a great appreciation for these two). AND WALTER. Everyone loves Walter, don’t they? (I’m talking about both the characters in the book and the fandom.) You can’t NOT love Walter. I know that LMM was prone to sentimentality, and sometimes it gets on my nerves a little, but it fits Walter in the most perfect way possible (when he’s a child and when he’s grown up). I LOVE HIM SO MUCH. And everyone talks about his death and his letter, but don’t forget that when he was alive, he rescued a fellow soldier from No-Man’s Land (and was awarded the Distinguished Conduct Medal) and that’s AWESOME. I have tons of feels about Walter and I couldn’t convey half of them properly. HE’S SO SWEET AND HE SHOULD’VE COME HOME AND MARRIED UNA AND IT’S JUST NOT FAIR. I know LMM was purposely manipulating everyone’s emotions, but it still works. Even when I know I’m being played, I always cry at all the same places. When Walter enlists, when Walter dies, when Walter’s letter comes, when Shirley enlists, when Jem goes MIA, when Bruce drowns his kitten to bring Jem back (some people view that bit as creepy, but I don’t – he was just a kid; he didn’t know any better), and when Jem comes home and DOG MONDAY RUNS OUT TO MEET HIM AND IT’S SO SAD AND HAPPY ALL AT ONCE. I always cry hardest there. I know of three fictional Walters that fought in three separate wars – Civil War, WWI, and WWII – and they all died. I guess it’s not a good idea to be named Walter when there’s a major war on, eh? If I ever get a dog, I’m naming it Dog Monday. And I bet I’ll name one of my sons Walter. UGH THIS BOOK IS SO FEELSY. But I’d better wrap this up, ’cause I’m running out of time to write. five great movies for a girls’ night in + giveaway! Yes. Walter. His death ALMOST made me cry–not quite, but almost–which is actually quite something because I almost never cry over books/movies. I don’t know why–I just don’t. But I definitely had tears in my eyes when I read his last letter to Rilla. Poor lad. He was a brave one, he was. I think it made sense for LMM to have him die, though–I mean, SO MANY people died in World War One, it was just awful. So you almost HAVE to kill one of the characters in order to really bring the atmosphere of the war home to your readers. If nobody had died, I don’t think the story would have had the same impact on me. But yeah. It’s still really, really sad. It’s very powerful. I love it SO much. I know. I love him too. I love this book SO MUCH!! I know *sniff* Walter! If they made a movie of RoI I am SURE I would cry when Walter dies . . . (I like never cry when reading books or watching movies). But I really like how Rilla develops through the book. Just. So. Sweet. When a book or a movie is sad and I’m sufficiently invested in the characters/story, I tend to cry a lot – sometimes I wish I didn’t, but it’s just the way I am. 🙂 Character growth, if done properly, is my favorite part of coming-of-age stories, and Rilla’s was the best I’ve ever read it about. Love it! SPLENDID REVIEW THOUGH. YOU SERIOUSLY ALMOST MADE ME CRY. I’m so glad you approve! I wrote this post mainly with you in mind, ’cause we’re both such huge fans (the same was the case with my review of GWTW). Hopefully, I’ll get your LMM email answered today or tomorrow and we can talk about Walter/RoI in general even more. I agree with this whole post. 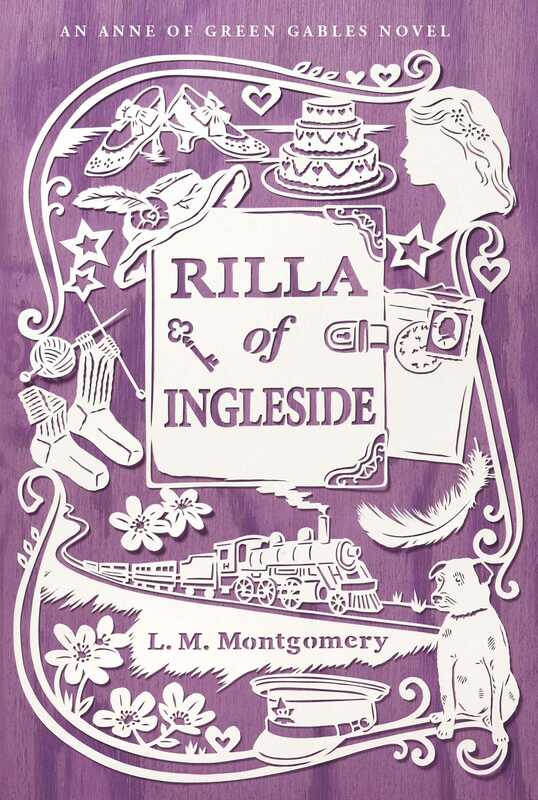 Rilla of Ingleside is perfect. The first time I read it, I was about 11 and thought it was “boring” since it had a lot to do with the war. I read it again last year and was BLOWN AWAY. How did I ever think it boring?? I shed so many tears over it and can’t wait to read it again. But seriously…you don’t like him? Hmm. Each to their own, as my mom says. 🙂 Why don’t you like him? Well, I should probably reread the book, as it’s been at least 10 years, but Walter just never interested me much, even in the earlier books. It’s not that I disliked him, it’s just that I was kind of ambivalent toward him. But Jem I wanted to pal around with. Even though I love Walter, I get that. Jem’s a lot of fun, and I will admit that I don’t like how a lot of people disregard him and Shirley in favor of Walter. I love all three! When I first started reading people’s rapturous, devoted posts about Walter in the blogosphere, I was a little confused, I have to admit. I wasn’t sure why people loved him so much, other than that he’s nice, and he dies. I’ve kind of gotten used to it, but I agree — sometimes I’m annoyed that even Dog Monday seems to get more fan-love than Jem! And Shirley gets completely overlooked most of the time. The first couple of times I read RoI, I hardly thought of Jem at all (and certainly not Shirley), but upon later re-reads, I noticed/appreciated them more, which is what I love about going back to favorite books: I always discover new things.